It’s true that the dietary supplements market in China has been booming. More and more Chinese citizens are consuming dietary supplements to improve their health. You are considering taking your healthy brand to China, but you don’t know how. 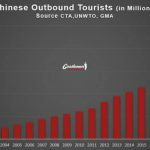 In this article, you will find some useful background information about the Chinese consumer market and some more tips you should keep in mind. 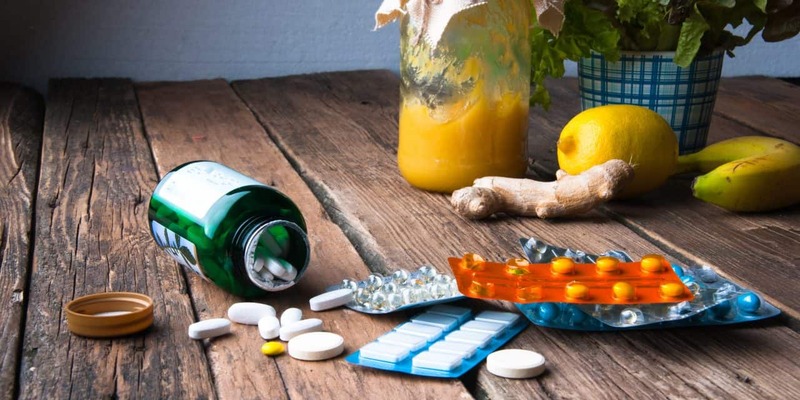 China consumption of Dietary & Health supplement Reach 16.3 billion USD in 2015 . 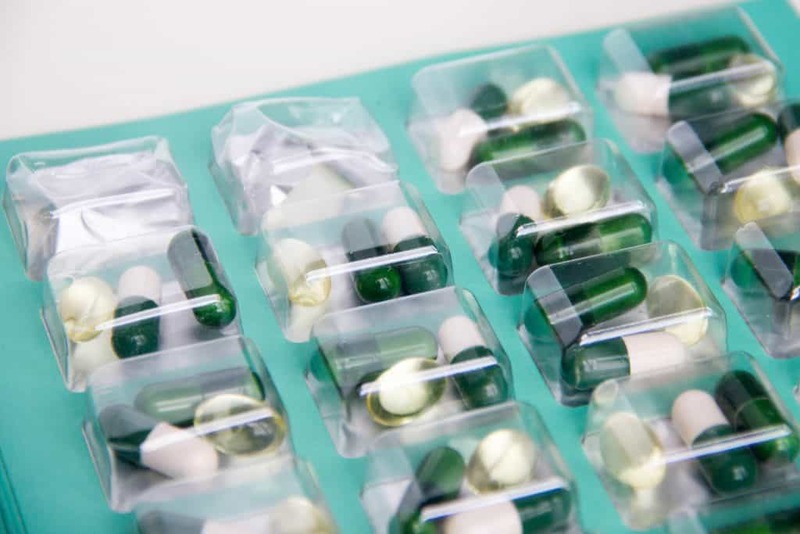 Vitamins and Dietary Supplements market is Booming in China. Experts predict to hit 23 billion USD market by 2020, +7% of increase per year. Opportunities for Foreign Dietary Brands are increasing du to poor Chinese product quality, lot of Food scandals. Half of First tiers city consumers purchase health supplement weekly for their health. The Biggest Market will be the second and tierd Tierce Cities consumers within the last 5 years. The Chinese millennials have a huge purchasing power. This new generation is definitely not shy to spend some extra cash. In contrast to the previous generation, who were more careful with their expenditure, you can say the opposite it’s true for the millennials. They have a different purpose in life, which is enjoying life to the fullest. They excessively spend more money on travelling and buying valuable goods. And something that Chinese millennials definitely value is their health. 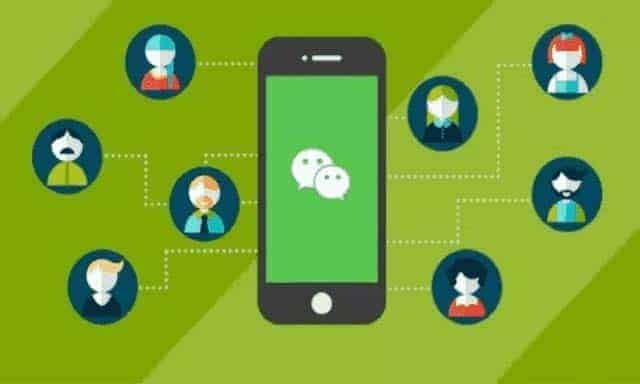 Now let’s list some key communication tools that your brand definitely need to survive in the Chinese market. For your dietary supplements brand, it could sound a bit intimidating to enter the Chinese consumer market. So therefore, the first step for starters, is getting to know the market that you are dealing with. As mentioned before the Chinese consumer market has a huge purchasing power that you can’t compare to any other nation in the world. More and more dietary supplements are consumed every year. There are definitely many opportunities of your brand in China. Moreover, it has the potential to be a great success. With some guidance, you are able to sell your dietary supplements to satisfied and loyal Chinese consumers. The next step for your healthy brand is to decide what your target audience will be. Logically, you target audience will probably be the upper or middle-class of China with a high income. That’ because dietary supplements are luxury goods. So, your healthy brand is active on the internet. But that’s not all. If you are active on the internet, you also need to create traffic to your website. This means that people can find your website via search platforms on the internet. For example, Chinese consumers who are looking for dietary supplements in Shanghai, have to find your website on Baidu and the nearest shop where they can buy it. Being active on social media is crucial for your healthy brand and it’s even more essential in China. Because of china’s digital growth, social media has become even more prominent in daily life of a Chinese consumer. 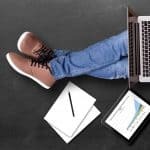 This platform could give your healthy brand a huge boost and creates many chances, even for a small of starting company. 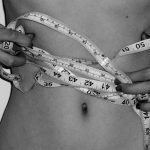 Here you can set up a strategic business plan to reach a lot of health-freaks at once. How to Sell in China your Health Supplements Brand ? You need a Brand , a wellknow Brand in China to really to think about Make Money in China. After that, you can think about Tmall Global , the number one plateform to Sell Health Supplements in China. Largest Choice for Dietary Supplement in China ! 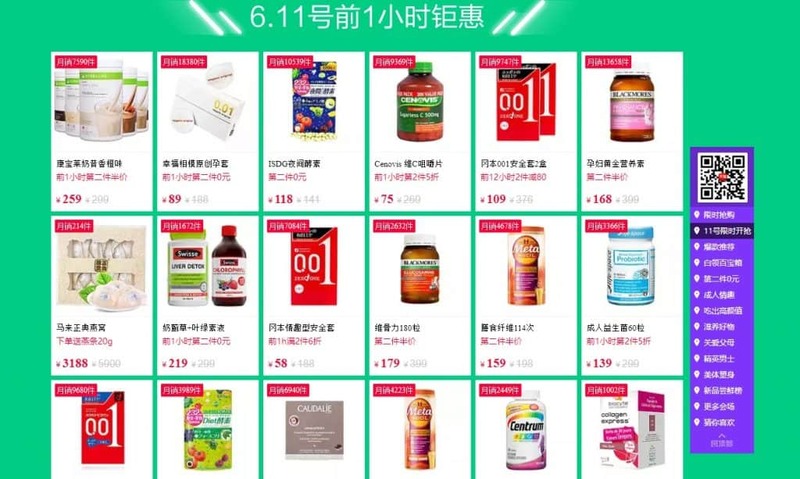 Health Supplement is top Seller product on Tmall Global. 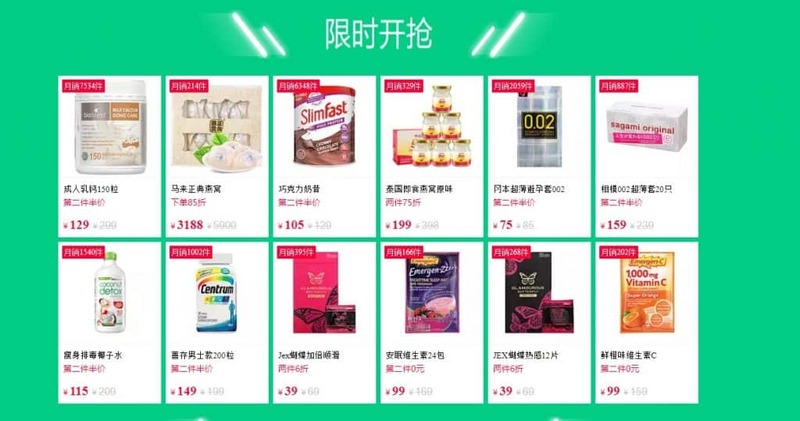 JD the Challenging ECommerce company is already performing well to sell Dietary and Health Supplements in China. Other Vertical ECommerce plateform can be used to distribute Products , and all of them have differents way of Dealing with Western Companies. Last but not at least, there is another way to market dietary supplements. You also have the option to work with intermediaries. Instead of you promoting your brand yourself, intermediaries can do the work for you. This is also very popular in Western culture. A great example is the company “SUGARBEARHAIR”. They work with high profile celebrities like “The Kardashians” to promote their dietary supplements on Instagram. Intermediaries could be actors, singers, internet celebrities, in general they are trendsetters. These idols have many fans, who support them and want to live the same life as them. If these trendsetters consume your dietary supplements to improve their health, fans will notice your brand and want to have it too. 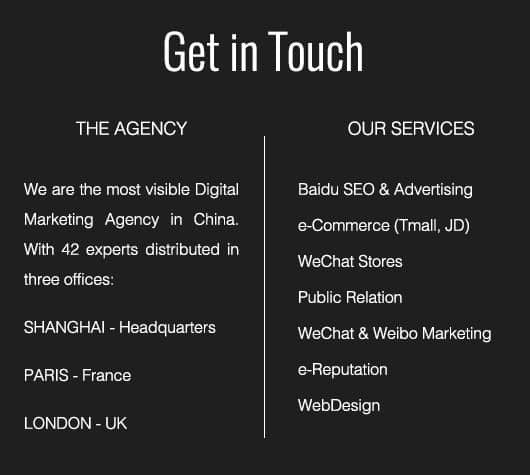 Do you need a Healthy Marketing Agency to Enter to the Chinese Market ? 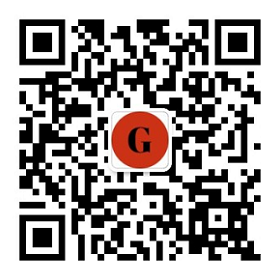 Gentlemen Marketing Agency is the specialist in marketing to China, and we have a lot of Case studies with health Supplements Selling in China. Feel free to contact us, to ask our case Studies and our New Solution. I’m planning to start my own business and export in China soon but I’m a little lost on everything. Would you propose starting with a free website platform like WordPress in China? or go for a paid option at the beginning? 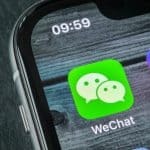 There are so many options out there that I’m totally confused, wechat is Free or we need to pay? ..